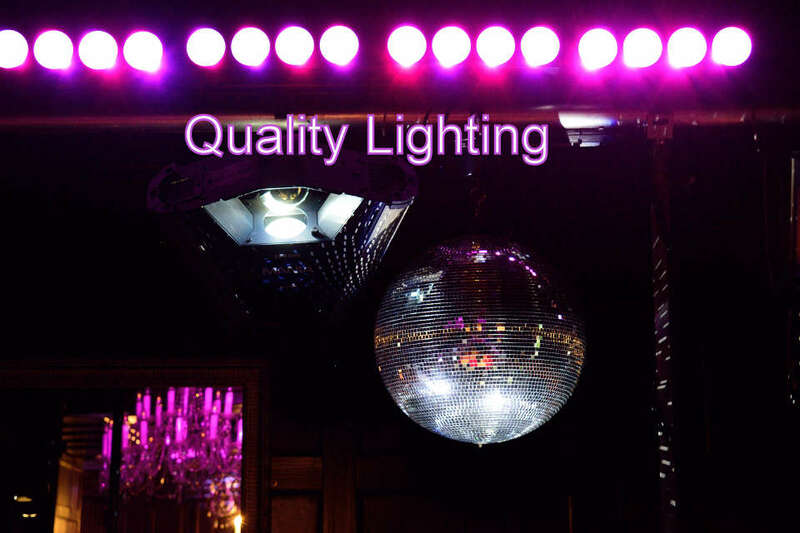 Quality sound & lighting is a very important part of a party which sets the mood and creates the energy and atmosphere for a great event. I take huge pride in my sound and lighting, I don’t want to bore you with lots of technical info but this really does make a huge difference to your event. 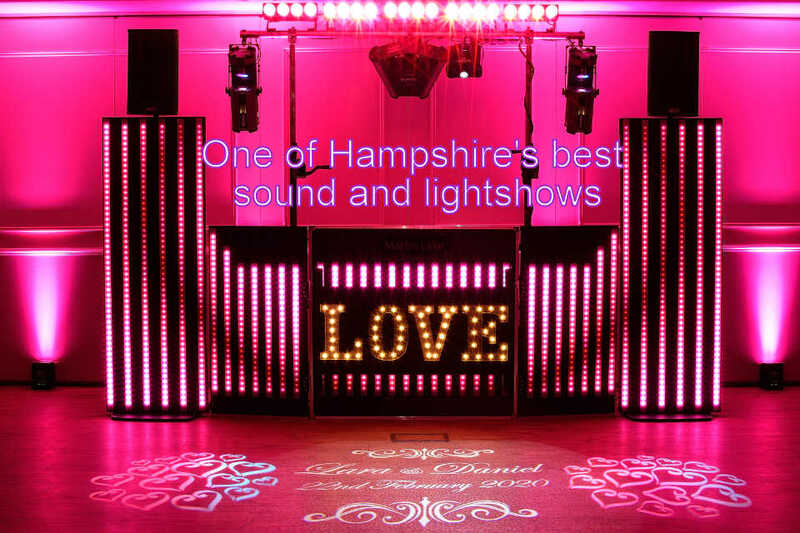 I have just added a brilliant Custom Built DJ Booth and amazing new Madrix Controlled Pixel Shows which are among the best wedding lightshows in Hampshire. For the people that think quality sound and lighting doesn’t make a difference just think what sort of show the X Factor would be without those amazing lighting sets. Creative use of lighting can take your event to another level and a high quality sound system will get everybody dancing. I have spent a lot of money on my sound system as I know how important the sound is to the success and enjoyment of the party. 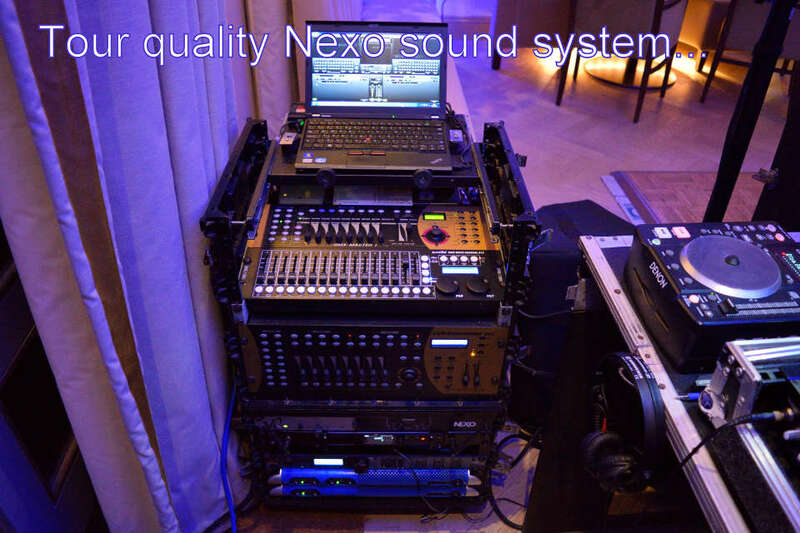 I am one of the few DJ’s in Hampshire that has got the highly acclaimed Nexo R2 sound system. A review in performing musician magazine described it as “the best sounding and most powerful portable sound rig I have ever had the pleasure to drive”. 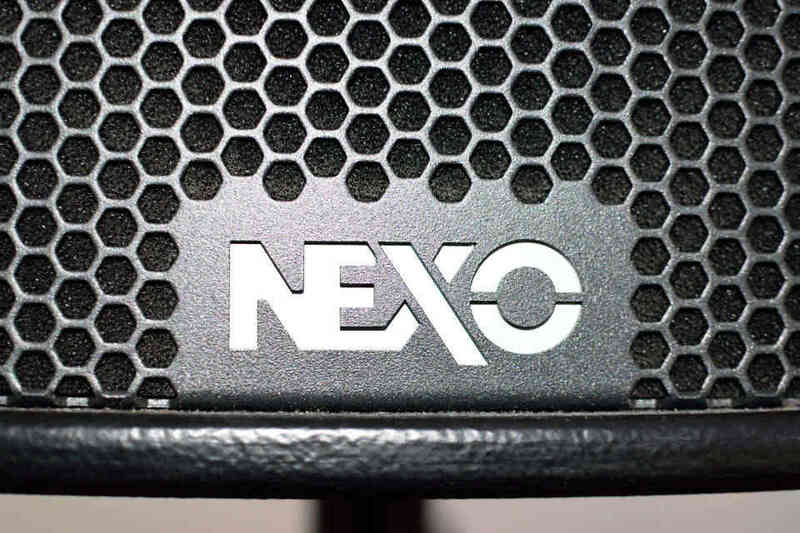 Combine the Nexo speakers with Powersoft amps and Denon controller and you have an excellent sound system that cost considerably more than most mobile DJ systems. That is the sort of quality your special day deserves. 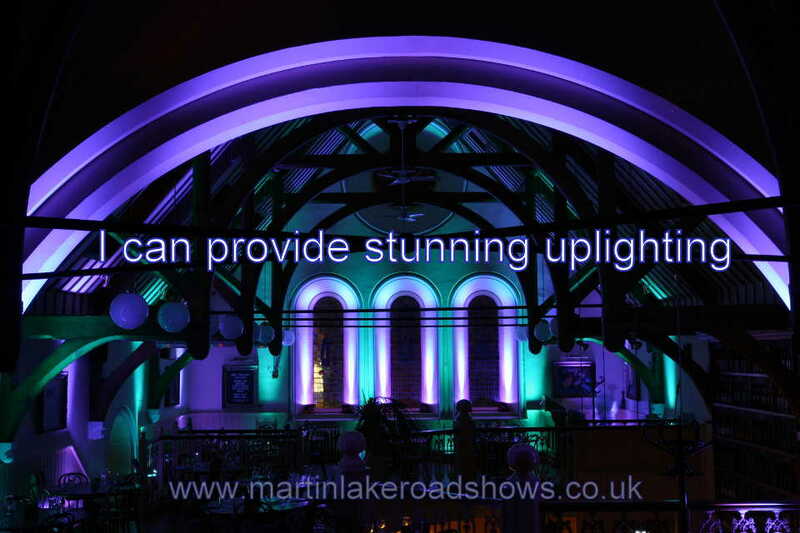 I have some of the best lightshows in the area which have just got better with the introduction of my stunning new Madrix controlled Pixel Shows. I use professional Martin lighting which is one of the top lighting companies in the industry. You can choose from a selection of shows that could include SCX700 scanners which project beautiful rich coloured spotlights and images around the venue whilst the EFX600 effects light projects mesmerising patterns with multiple coloured beams. The latest COB LED lighting bars are used for a beautiful rich colour wash and amazing chasing patterns to music. These lights are operated by the incredible Madrix software which is an exciting new addition to my equipment. Madrix software is used by top nightclubs around the world and is the most advanced software for controlling LED’s. Madrix can make the LED’s chase, change colour, change patterns and has advanced audio analysis which detects the tones, the key, the frequency and the volume of the music. This makes the lightshow sequence perfectly to the music dancing in time and creating a dynamic show. I have the ability to use my scanners as powerful spotlights to highlight any key events happening on the evening which is a great way of drawing peoples attention to a special moment… maybe spotlighting the bride and groom, lighting up the cake during the cutting or for the show stopping “dance off”. I have a choice of 2 new unique stylish custom DJ Booths. The first new booth has 660 individually controlled LED Pixels which are all Madrix controlled and synchronised with my main lighting bars. 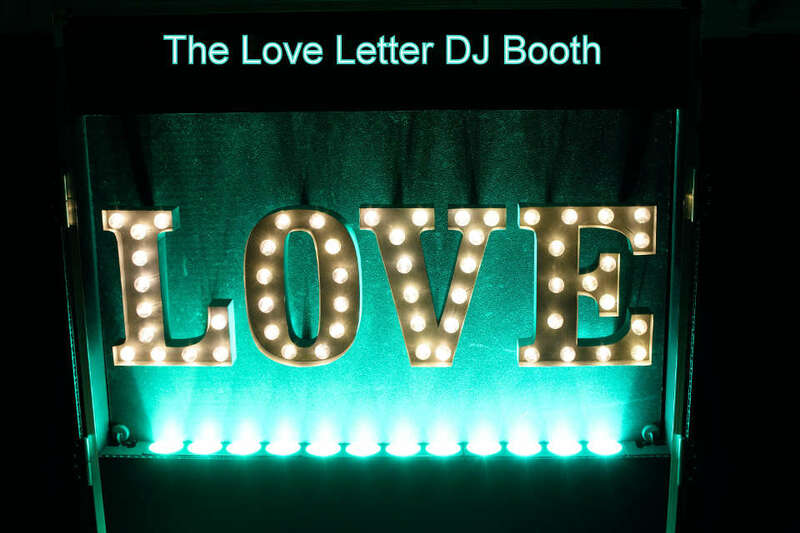 The other booth is the “Love Letter Booth” which has 370 individually controlled LED Pixels with the addition of LED “Love Letters” which are very popular for weddings. You can add a professional laser to the disco for a small additional charge to give the lightshow an extra dimension and really create that wow factor. 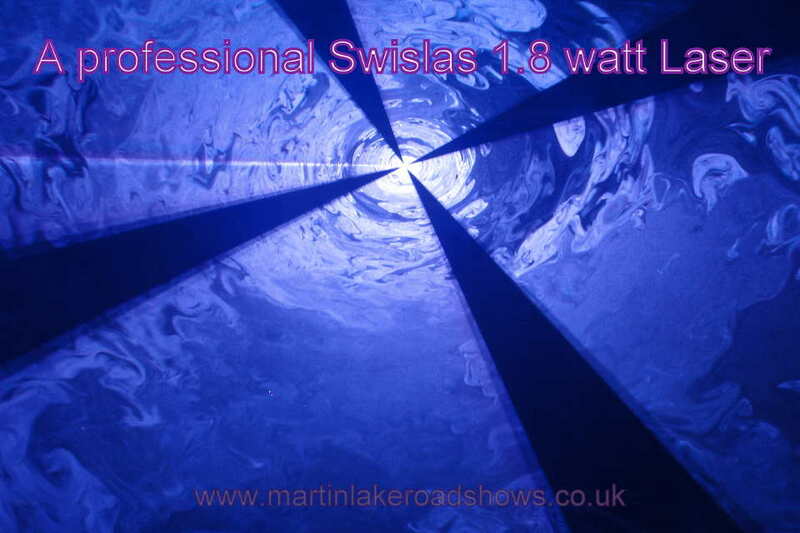 I have an amazing Swislas 1.8 Watt RGB laser that produces beautiful rich colours, mesmerising patterns, beams and animation which will definitely impress your guests. 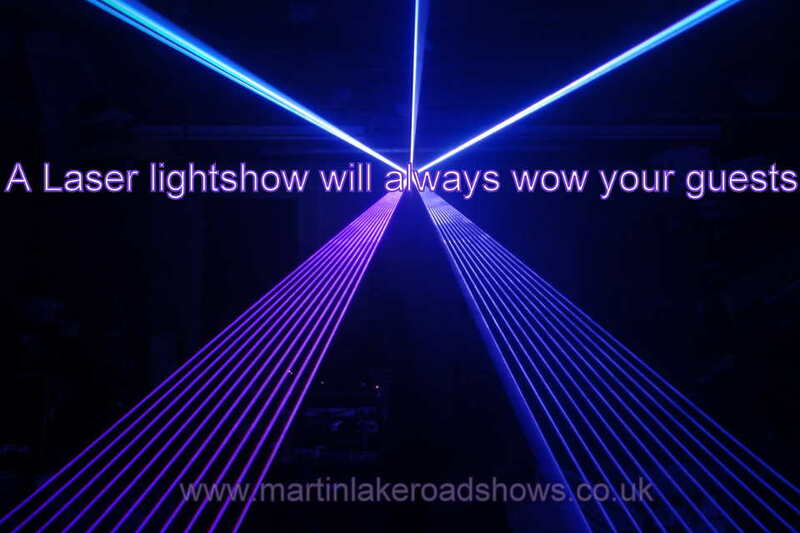 This is a professional £3000 show laser that produces dynamic colours, beams and animation with very smooth movement and cannot be confused with cheap Chinese lasers that often produce jerky movements, beams that flicker and do not produce the same rich colours. 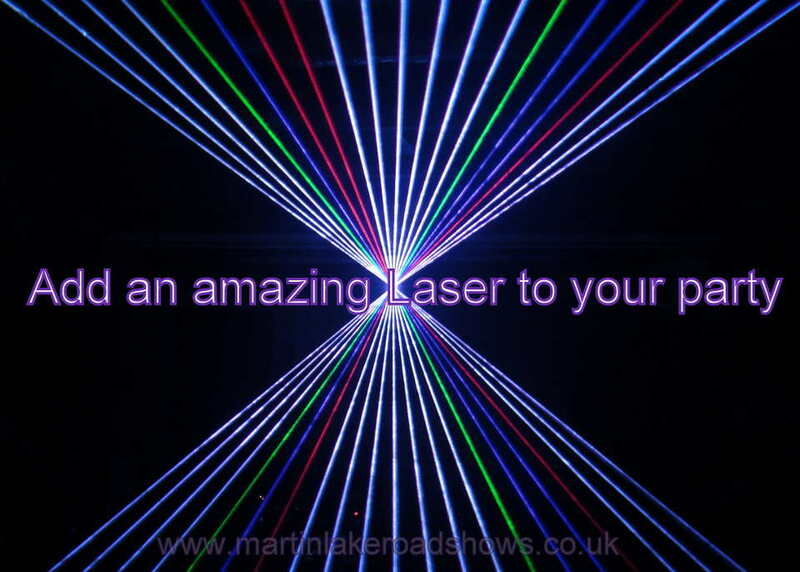 The laser uses professional Pangolin laser software which enables me to personalise laser text on the wall. 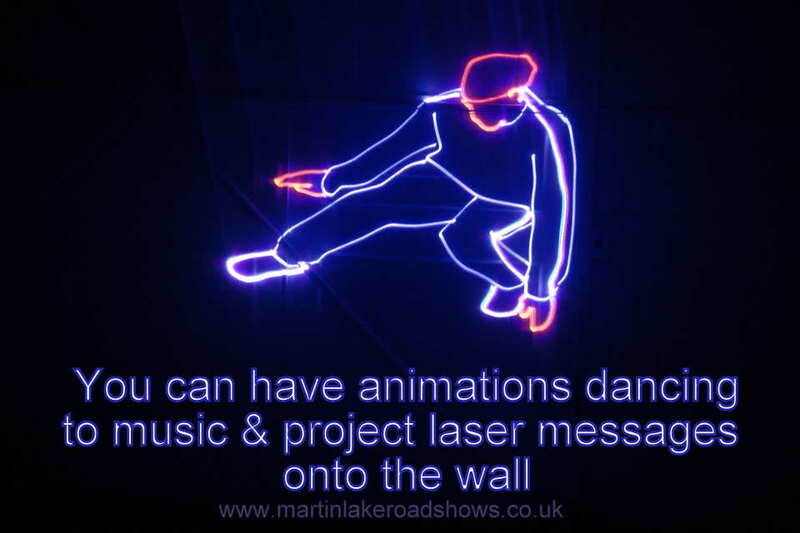 The software also contains 2000 graphics, animations, beam effects and abstracts to create stunning laser shows. This is particularly impressive projecting the bride and grooms names above their heads for a first dance or a birthday congratulation message at a party. It is a unique way to make those special moments stand out even more. 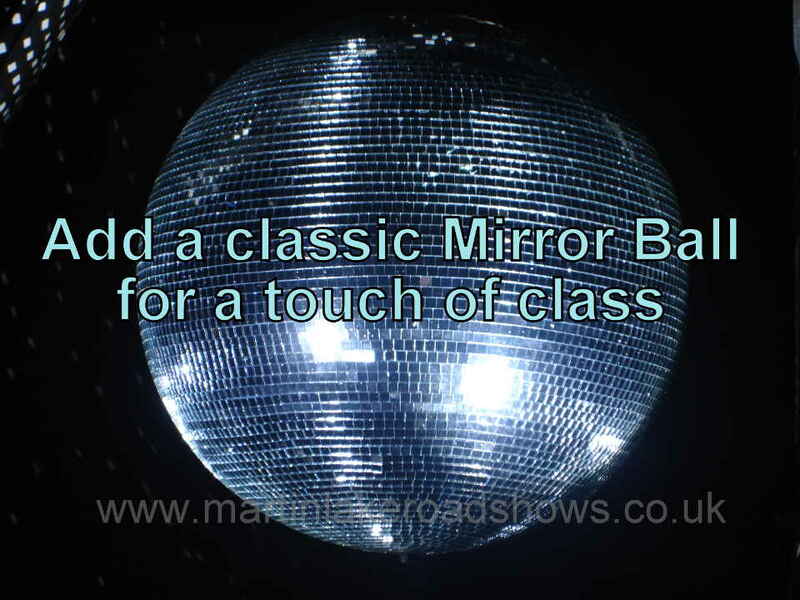 I can add a 16″ Mirror Ball which is an iconic, timeless disco effect and adds a touch of class to the first dance. 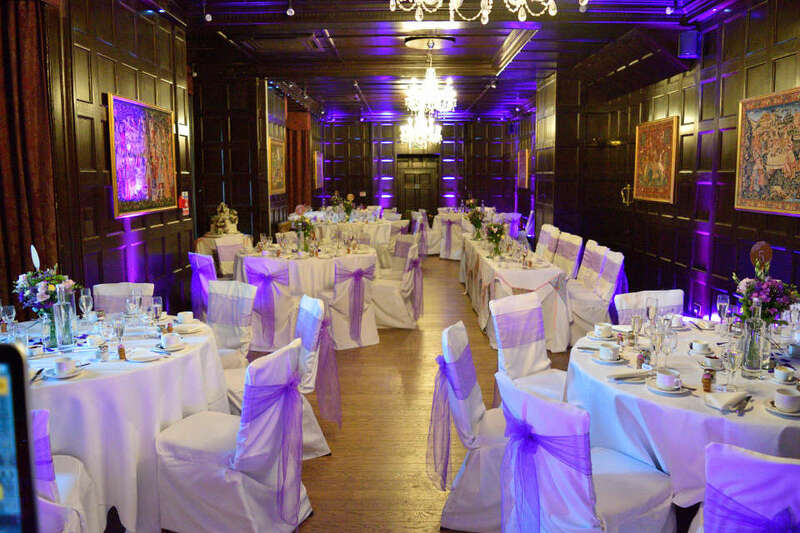 It is also perfect for venues with lots of dark wood panelling as it adds sparkle. Adding a monogram is a great way to personalise your wedding or party. 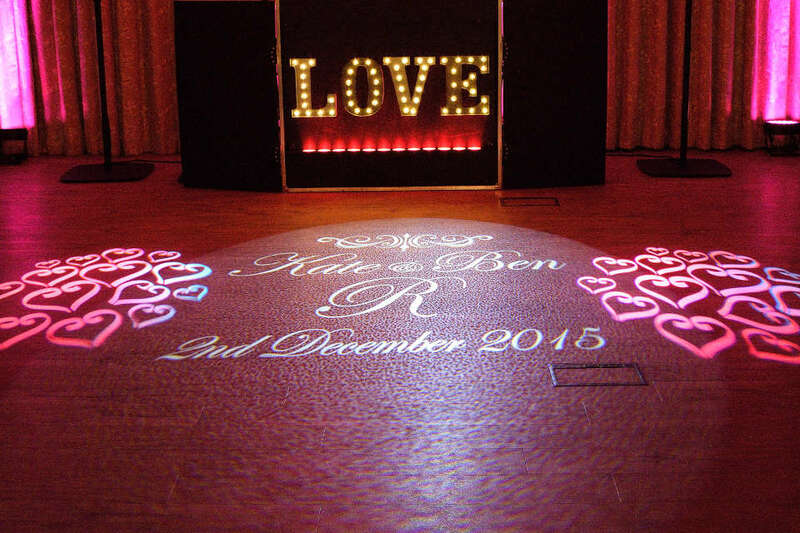 Projecting your names in lights onto the dancefloor or wall is an excellent addition. It creates a touch of class and focal point and is great for your photographs. I can also add 2 realistic flame effect lights which are great to have at an entrance or either side of the stage. The best way of transforming your venue. 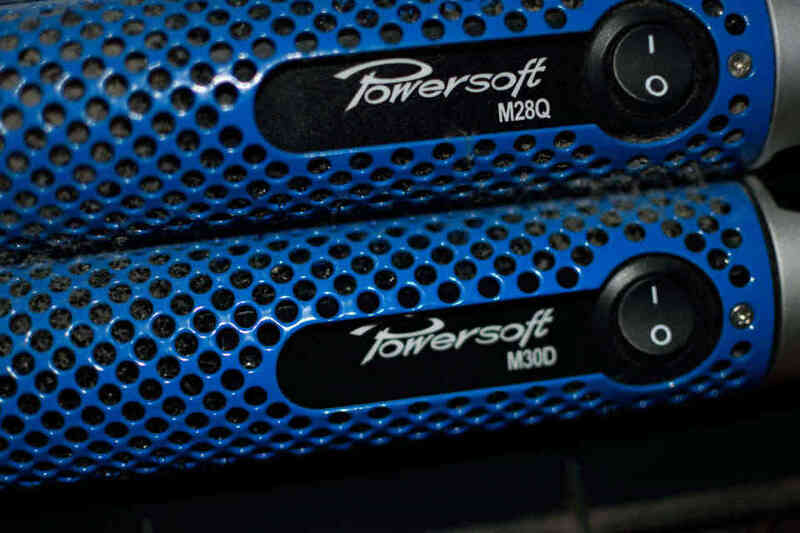 I can provide the latest brilliant Chauvet Freedom Par wi-fi battery up-lighters to make your venue look amazing. See my uplighting page for lots more information. I carry back up for every single item of essential equipment that I use including a totally independent sound system. 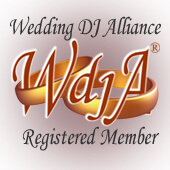 You have spent a lot of time and money planning your dream day and you deserve the reassurance that you wedding is not going to be ruined by equipment failure. 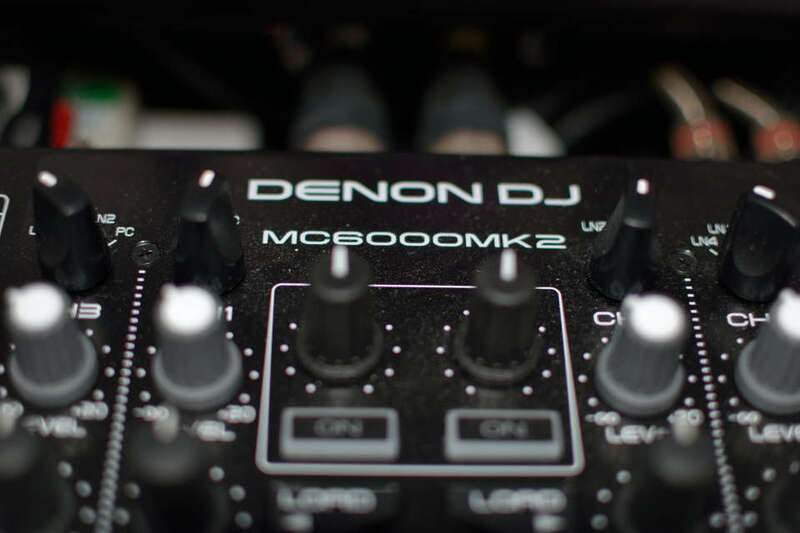 I have kept it short and sweet and tried not to get too techno nerdy, basically, you can rest assured that your function is going to look and sound really special and you have the peace of mind knowing that I use the very best of equipment and if the worse happens I have back up equipment to keep the party going.